It’s no secret that our family loves to go camping. This time though, we headed further afield, six and a half hours north to Arrawarra, just north of Coffs Harbour on the NSW North Coast. Although we love bush camping, with two small children the lure of on-site amenities, pool with a waterside and a giant jumping pillow was still attractive so after a little research we found the perfect location for our five day camping adventure. With Summer coming to an end and the days getting shorter, the family and I packed the car full to the brim with camping gear and headed south to the Royal National Park, just 1hr from Sydney, in order to make the most of the last weekend before Autumn descended. We have camped at the Bonnie-Vale camping area near Bundeena in the Royal National Park many times before – pre-children – and although we have taken the kids camping before, this was the first time in a bush setting without the onsite pools & jumping pillow distractions of a Big 4. Festivals and events are great, but sometimes we forget the great free entertainment available in Sydney all year round. 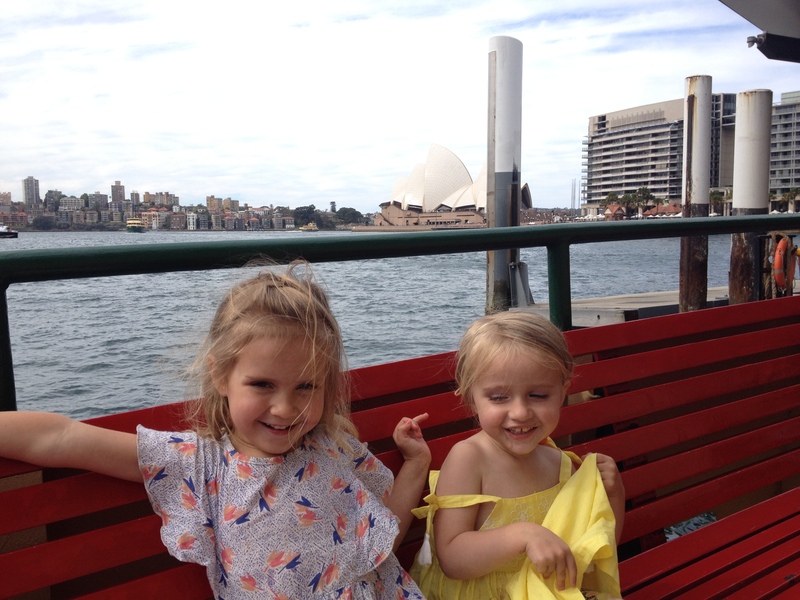 Last Friday, the girls and I headed into Circular Quay on the train. The girls love public transport- and the simple joy (from a child’s point of view anyway!) of watching people coming and going and the scenery whizzing past. The train journey itself becomes part of the adventure. 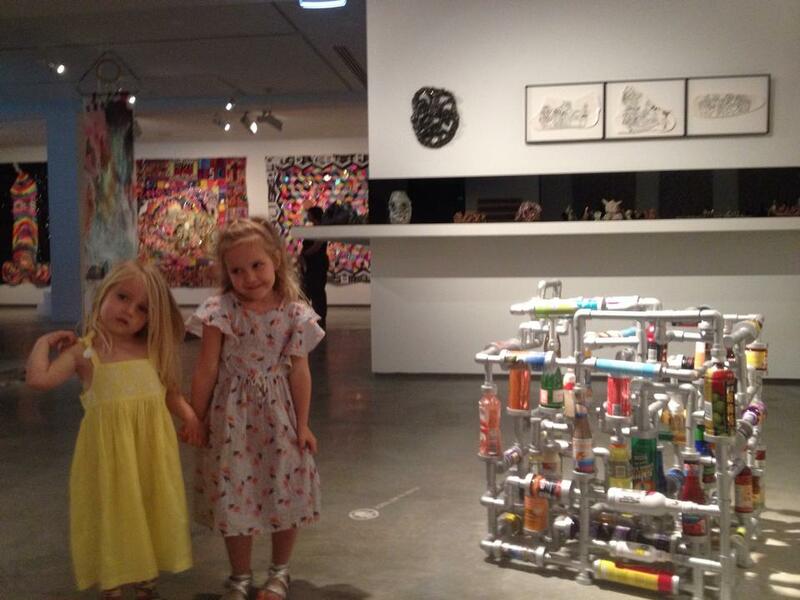 It is only a short walk from Circular Quay station to the Museum of Contemporary Art (MCA). 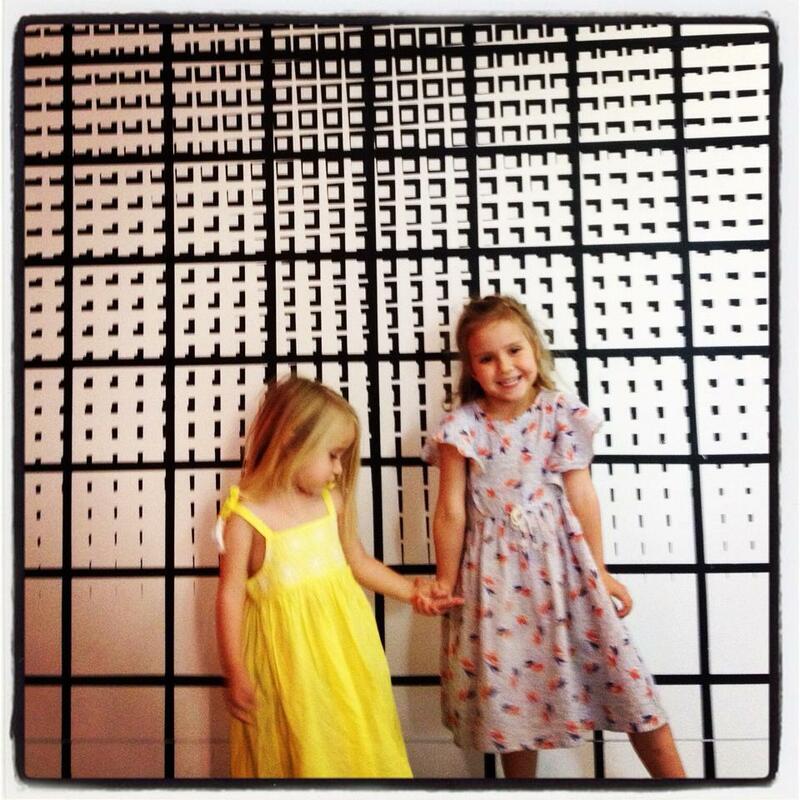 The MCA often has kids activities that I have heard are great, but today we just wanted to check out the art. Entry is free but if you stop by the front desk on your way in they will give you a fun worksheet for kids to use as they work their way through the gallery. The sheet is designed for Primary School aged kids but I could easily talk my four year old through it to help focus her attention. It has fun activities like challenges to write down all how many images of birds they see etc. There is such a wide variety of art at the MCA from paintings to mixed media, sculpture from found objects to audio visual pieces. The girls loved exploring and were constantly pulling me from one piece to another and pointing out their favourites. 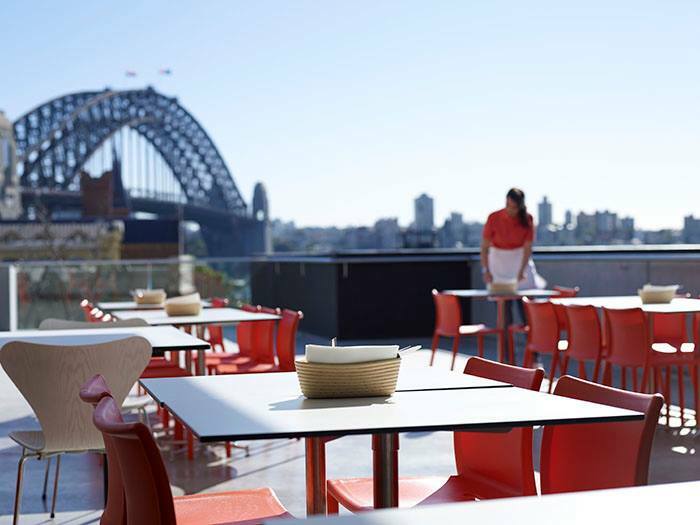 One of Sydney’s best kept secrets is the MCA Cafe & Sculpture Terrace – normally it has uninterrupted views of the Sydney Opera House and the Sydney Harbour Bridge, although we had to settle for just the Bridge on our visit as a large cruise liner was docked at the Overseas Passenger Terminal. The food is very reasonably priced and it is the perfect spot to take a break in a very relaxed atmosphere. Another hot tip is the MCA Gift Shop – it has great gifts for adults and kids alike, much of which you don’t tend to see in a lot of other stores. You can even shop online. We left the MCA with our minds and our tummies full and began the walk around to the Sydney Opera House in the Sydney sunshine There are always a range of buskers dotted along the Circular Quay boardwalk. The girls were fascinated all the street entertainers, from the silver statue who moved when someone threw their coins in the hat to the talented artist creating detailed and realistic chalk drawings and, of course, the aboriginal music group with their digeridoos. For a few coins we were entertained for a good hour. The Sydney Opera House is such a great, iconic building and it captures the imagination of young and old. My husband and I got engaged near the Northern Forecourt of the Opera House so it holds a special place in our hearts. We now own a tile on the tallest sail of the Opera House thanks to a recent Own Our House fundraising campaign – you can check out the view from our tile here. My four year old especially loves visiting the Opera House and exploring inside and out so we did just that, climbing the stairs up to check out the view across to the Sydney Harbour Bridge. After a quick ice-cream to cool down we board a ferry to Darling Harbour. A ferry ride is always a source of excitement for the girls and we quickly seek out prime position on an outside seat so we can enjoy watching all the activity out on the water. The ferry’s route takes us under the Sydney Harbour Bridge and past Luna Park‘s smiling face and fun-park rides. After much begging, I agree to taking the girls to Luna Park ‘one day’. We get off the ferry at the Maritime Museum and wander over to the Pyrmont Bay Light Rail stop for the journey home. 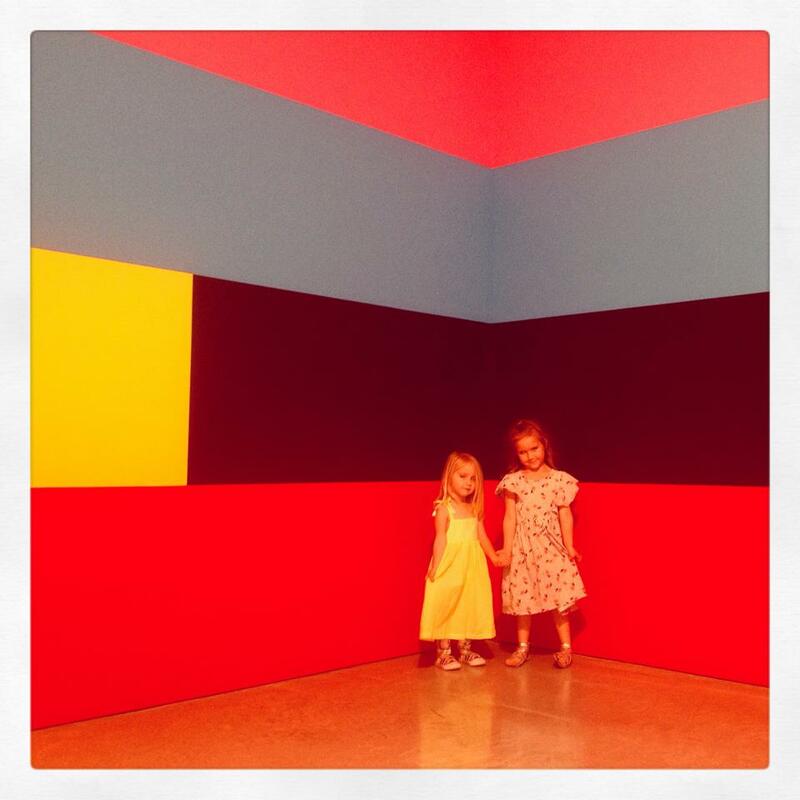 So: three modes of Sydney public transport, one world class modern art museum, some great street entertainment, a wander around one of the world’s most iconic buildings and we easily filled a full day of activities for two small kids at a very minimal cost. 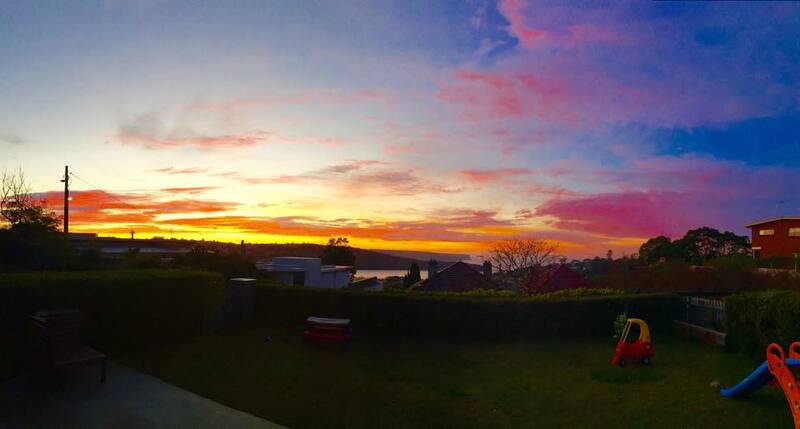 Thank you Sydney! This is the final blog in the Singapore series. We had such a great family holiday and our final day did not disappoint. 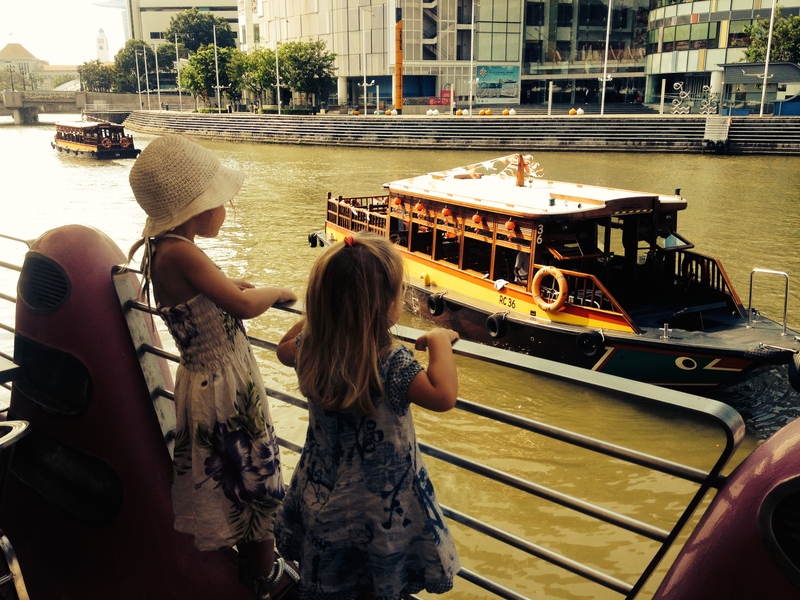 We wandered down to Clarke Quay to catch a River Cruise that could take us the scenic route to the Marina Bay Sands. After a short wait for more tourists to arrive, we boarded the River Boat. After a busy few days in Singapore I thought the kids would be tiring however, I couldn’t have been further from the truth. In fact the kids were just building momentum and it seemed they had more energy than ever for our next adventure: Singapore Zoo. To be absolutely truthful, I wasn’t personally very keen to go to the zoo. 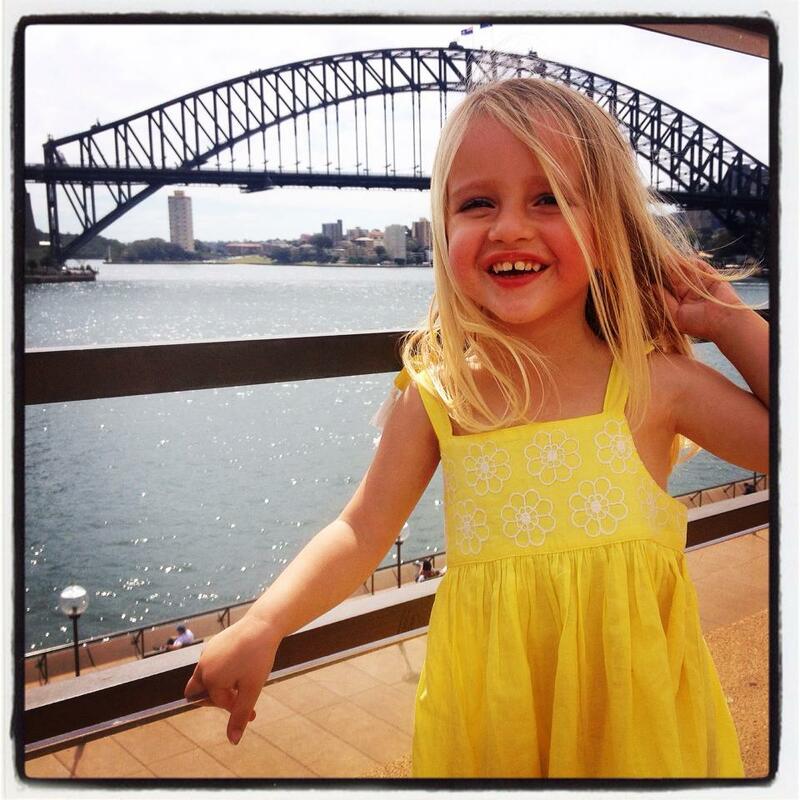 I felt that we had been to Taronga Zoo a few times and I thought a zoo is a zoo is a zoo. I thought that there might be more exciting things for us to do that might be more specific to Singapore, but I was out-voted, so Singapore Zoo it was.